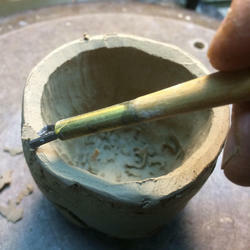 Kurinuki (Japanese term) is the process I employee for almost all of my vessels. 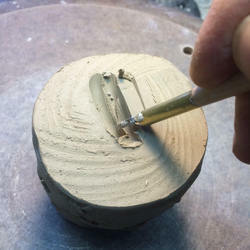 Several years ago I came across an article in Ceramics Monthly about Kaneta Masanao, a Japanese ceramicist that uses this method. I became intrigued with the concept and located information on several other Japanese artists that use it. 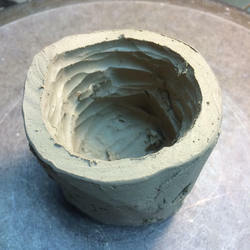 Kurinuki is a hand-forming process that involves hollowing a solid clay form (subtractive) to obtain interior space. It is a slow process and certainly not one for production. 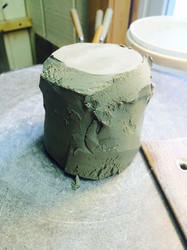 I approach all of my work as “one of a kind” objects, therefore find it to be a fitting way of making. 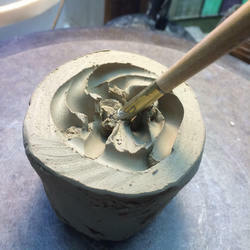 A solid form, or blank, of clay is created. 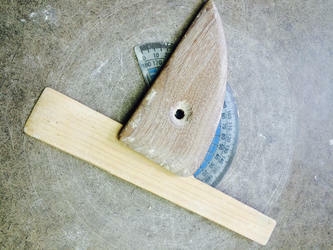 Implements that have a straight edge are used to shape the exterior. 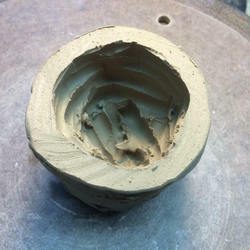 Here, the outside has been manipulated to create texture. 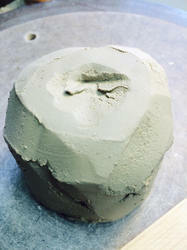 Once the sides have been completed, the form is inverted and work begins on creating the foot, or "kodai". 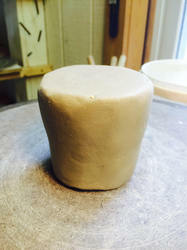 The foot has been made. 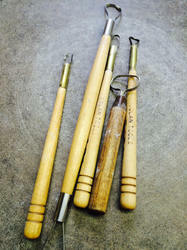 Loop tools are used in the process of "kurinuki". 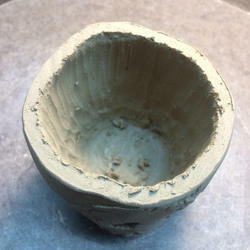 Hollowing out of the interior begins. Further along in the process. 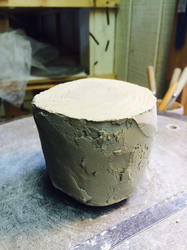 The final step is to make the lip, which is cut to a bevel.